Beautiful RARE engraved specimen certificate from the America Online Incorporated dated February 4, 1992. This historic document was printed by United States Bank Note Company and has an ornate border around it with a vignette of the AOL logo. This is over 24 years old. AOL began life as a short-lived venture called Control Video Corporation (or CVC), founded by Bill von Meister. Its sole product was an online service called Gameline for the Atari 2600 video game console after von Meister's idea of buying music on demand was rejected by Warner Brothers. Subscribers bought a modem from the company for $49.95 and paid a one-time $15 setup fee. Gameline permitted subscribers to temporarily download games and keep track of high scores, at a cost of $1 per game. The telephone disconnected and the downloaded game would remain in Gameline's Master Module and playable until the user turned off his console or downloaded another game. Kimsey changed the company's strategy, and in 1985 launched a dedicated online service for Commodore 64 and 128 computers, originally called Quantum Link ("Q-Link" for short). The Quantum Link software was based on software licensed from PlayNet, Inc. In May 1988, Quantum and Apple launched AppleLink Personal Edition for Apple II and Macintosh computers. 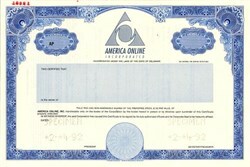 After the two companies parted ways in October 1989, Quantum changed the service's name to America Online. In August 1988, Quantum launched PC Link, a service for IBM-compatible PCs developed in a joint venture with the Tandy Corporation. Graphical chat environments Habitat (1986-1988) and Club Caribe (1988) from LucasArts. The first online interactive fiction series QuantumLink Serial by Tracy Reed (1988). Quantum Space, the first fully automated Play by email game (1989-1991). The original Dungeons & Dragons title Neverwinter Nights from Stormfront Studios (1991-1997), the first Massively Multiplayer Online Role Playing Game (MMORPG) to depict the adventure with graphics instead of text (1991). The first chat room-based text role-playing game Black Bayou (1996-2004), a horror role-playing game from Hecklers Online and ANTAGONIST, Inc.. In 2008 Neverwinter Nights was honored (along with Everquest and World of Warcraft) at the 59th Annual Technology & Engineering Emmy Awards for advancing the art form of MMORPG games. In February 1991 AOL for DOS was launched using a GeoWorks interface followed a year later by AOL for Windows. 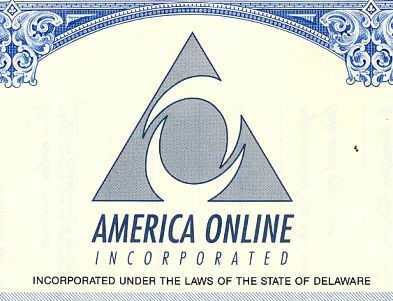 In October 1991, Quantum changed its name to America Online. These changes coincided with growth in pay-based online services, like Prodigy, CompuServe, and GEnie. AOL discontinued Q-Link and PC Link in the fall of 1994. Case positioned AOL as the online service for people unfamiliar with computers, in particular contrast to CompuServe, which had long served the technical community. The PlayNet system that AOL licensed was the first online service to require use of proprietary software, rather than a standard terminal program; as a result it was able to offer a graphical user interface (GUI) instead of command lines, and was well ahead of the competition in emphasizing communication among members as a feature. Private rooms - created by any user. Hold up to 23 people. Conference rooms - created with permission of AOL. Hold up to 48 people and often moderated. Auditoriums - created with permission of AOL. Consisted of a stage and an unlimited number of rows. What happened on the stage was viewable by everybody in the auditorium but what happened within individual rows, of up to 27 people, was viewable only by the people within those rows. In March 1994, AOL added access to USENET to the features it offered. AOL quickly surpassed GEnie, and by the mid-1990s, it passed Prodigy (which for several years allowed AOL advertising) and CompuServe. Originally, AOL charged its users an hourly fee, but in 1996 this changed and a flat rate of $19.99 a month was charged. Within three years, AOL's userbase grew to 10 million people. During this time, AOL connections would be flooded with users trying to get on, and many canceled their accounts due to constant busy signals (this was often joked "AOL" standing for "Always Off-Line"). AOL was quickly running out of room in 1996 for its network at the Vienna, VA campus and moved to Dulles, VA a short distance away. The move to Dulles took place in mid-1996 and provided room for future growth. AOL was relatively late in providing access to the open Internet. Originally, only some Internet features were accessible through a proprietary interface but eventually it became possible to run other Internet software while logged in through AOL. U.S. AOL Subscribers Q201-Q407Since its merger with Time Warner, the value of AOL has dropped from its $240 billion high. It has seen similar losses among its subscription rate. It has since attempted to reposition itself as a content provider similar to companies such as Yahoo! as opposed to an Internet service provider which delivered content only to subscribers in what was termed a "walled garden". In 2005, AOL broadcast the Live 8 concert live over the Internet, and thousands of users downloaded clips of the concert over the following months.